Beachouse is a clear example of the ability of the Overmarine shipyard to build a high performance yacht with a top speed of 41 knots, while keeping absolute comfort onboard for all guests. A yacht that stands out, Beachouse is known for her speed, comfort and modern airy interior décor. 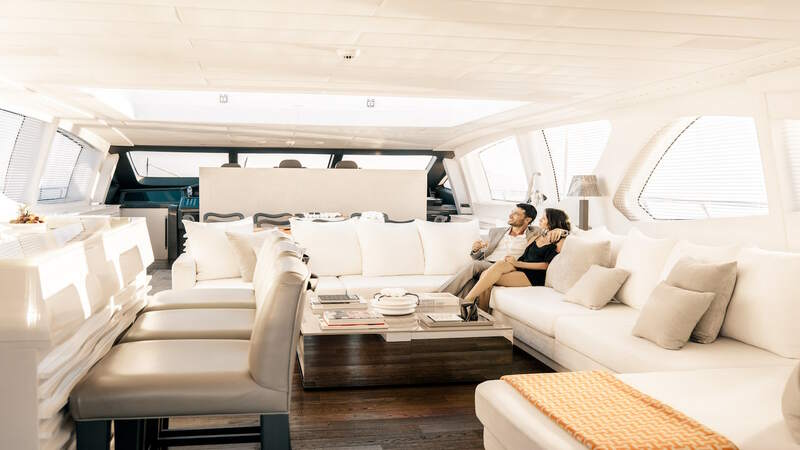 Inspired by a luxury Beachouse, she features light panels throughout the yacht with soft furnishings that complement the neutral toned fabrics and warm wooden floors. She also features bespoke modern art and vibrant colors that harmoniously blend with the rest of the yacht. She underwent an extensive refit in 2016 with changes made to her interior and new toys added to her already rich selection. A unique Megayacht for Charter! Beachouse is a truly one-of-a-kind luxury yacht that boasts numerous spaces, an enormous saloon and dining area in the main deck, with a front pilot station. The main saloon features large sliding glass doors aft and its open plan configuration allows for lots of natural light. The formal dining area is forward and can sit up to twelve guests. The dining area is complimented by wrap around windows for even more light. The Bridge deck and dining area are fitted with a state of the art sound system with amplifiers and loud speakers. Guest accommodation is on the lower deck in four well-appointed, spacious cabins that sleep up to ten guests. Each stateroom has its own unique character and is differentiated by its distinct color coordinates. The luxurious cabins include a Master, a VIP, a double and a triple cabin with a Pullman bed. There is also a relaxation area on the lower deck ideal for watching a movie or socializing. Beachouse boasts large decks that make it the perfect yacht to catch some rays. There is also an alfresco style dining option and two large sun pads. 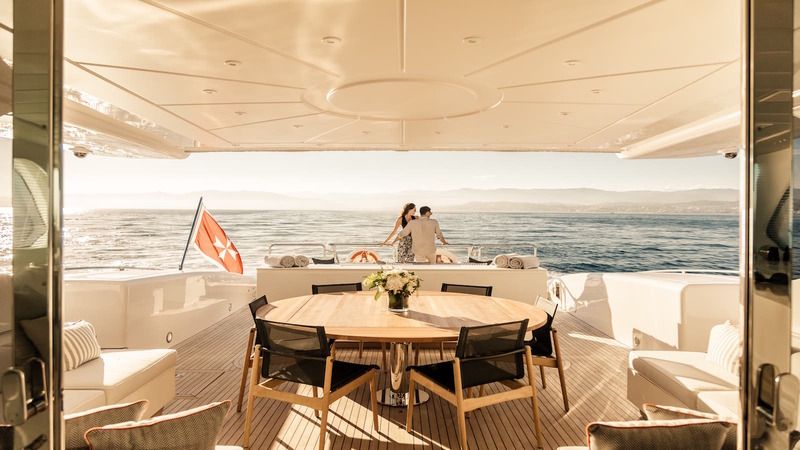 She has an extended swim platform with starboard steps, making access on board the yacht effortless access and she also features a wide collection of water toys. 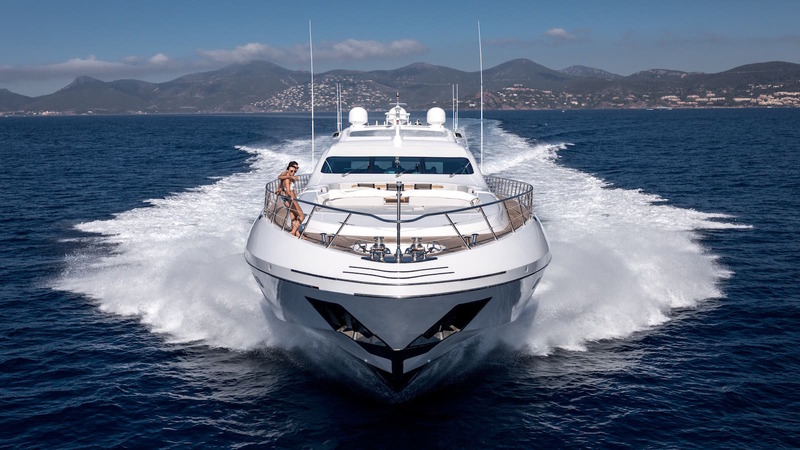 Powered by 2 x MTU engines she is capable of cruising at an impressive 34 knots, and boasts top speeds of 41 knots. Beachouse is a clear example of the ability of the Overmarine shipyard of building a high performance yacht with a top speed of 41 knots and keeping absolute comfort onboard for all guests. 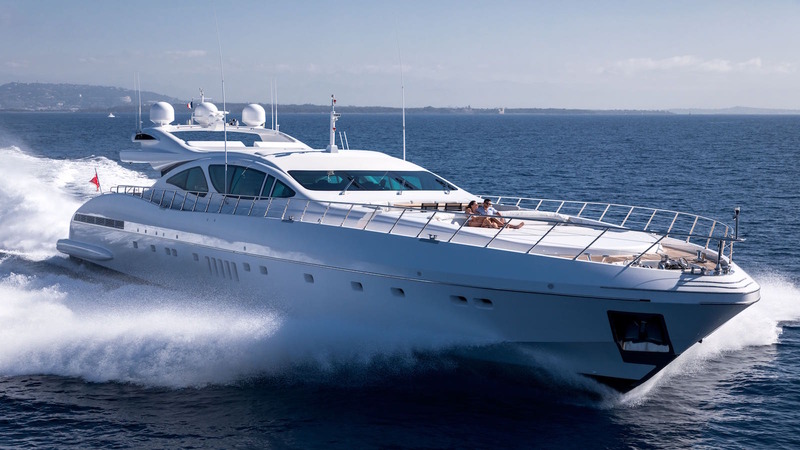 This truly one-of-a-kind luxury yacht features numerous spaces, including four comfortable cabins, an enormous saloon and dining area in the main deck, with a front pilot station. Beachouse underwent an extensive refit in 2016 with changes made to the interiors and new toys added to the selection. She is perfectly maintained and in immaculate condition.